Mahogany wood is accurately machined by MOMO’s Italian artisans and then finished in a walnut matte finish. 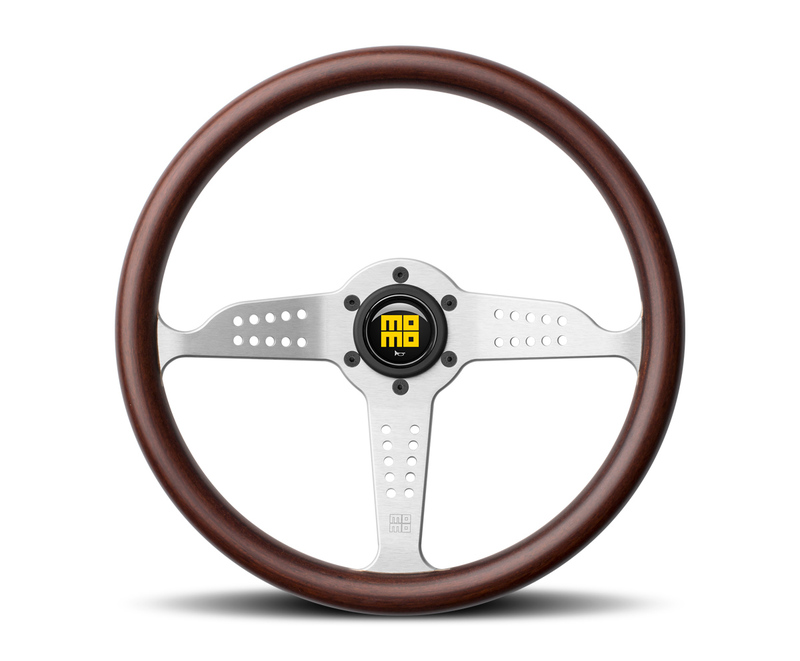 Both the bottom spoke and center horn button feature the historic MOMO logo used since the company began producing steering wheels. Finger grips are built into the back for improved grip.